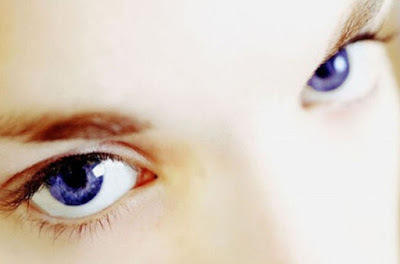 Dark circles under the eyes, — the phenomenon unpleasant not only from the aesthetic point of view but also because this phenomenon can be a harbinger of pathologies in an organism. Certainly, 1st of all, it's necessary to try to eliminate the reasons of their occurrence. If circles all the same remain — it's necessary to try to cope with this problem by means of special cosmetics. — A superficial arrangement of blood vessels + very thin, light skin badly hiding nuances of blood circulation. — Overfatigue, long stresses, sleep debts. — Liver illnesses, gastroenteric problems, heart insufficiency. The basic and most widespread reason — chronic overfatigue. Alcoholic drinks also can lead to occurrence of circles under eyes: they reduce moisture content level in a skin. During stay on the sun in the field of a sensitive skin under eyes there is an expressed pigmentation that too can lead to occurrence of dark circles. Dark circles under eyes can arise owing to an allergy to dyes for eyelids and eyelashes. From the dark circles caused by an allergy to ink or eye shadow, spot cream will help to get rid. The mechanism of occurrence of dark circles is simple: under eyes there is a large quantity of small blood vessels. When for any of several reasons pressure of blood vessels is down, blood in them starts to stand, thus the problem instantly acts on a face. To get rid of dark circles under eyes treatment, it's necessary to take care of good blood supply. The high-grade dream, productive leisure, walks in the open air — all this is really good for health.